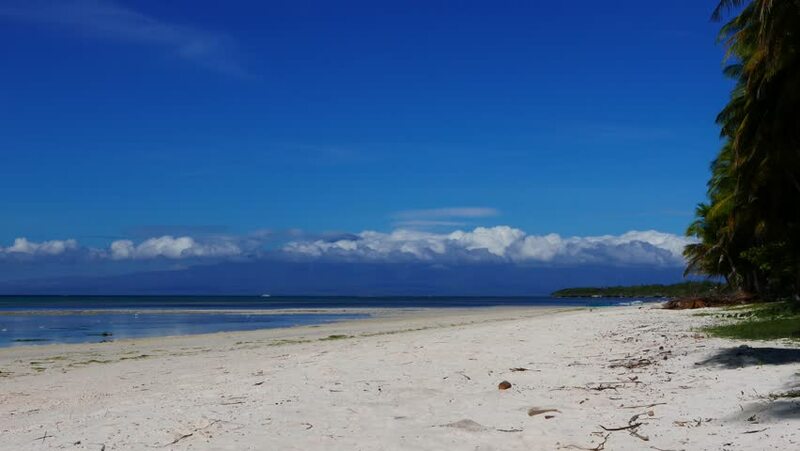 A bright clip from Siquijor white sand beaches. Low altitude clouds can be seen moving over the ocean. Presented as fast motion (time lapse) and originally shot in 4K (Ultra HD) resolution. 4k00:30A bright clip from Siquijor white sand beaches. An egret can be seen roaming around low tide puddles looking for food. Presented in real time and originally shot in 4K (Ultra HD) resolution. hd00:16A timelapse from Lonely Beach on Koh Rong Island in Cambodia. 4k00:08Beautiful tropical island with sand beach, palm trees.Seascape ocean and beautiful beach paradise, Siargao, Philippines. Tropical landscape: beach with palm trees. 4K video Travel concept.